How to… select the correct ISO from Christopher Rowe on Vimeo. Determining the correct ISO for a day exterior doesn’t sound like a controversial topic, but selecting the ideal setting is not quite as straightforward as you might think. The Amira’s native ISO is 800, which means at this setting the camera’s 14-stop contrast range is evenly distributed above and below the midpoint. The camera accurately reproduces 7 stops above the midpoint before white starts to clip, and 7 stops below before the blacks are crushed. When shooting bright exteriors, many people are tempted to select a lower ISO because this enables you to use a wider aperture. But by selecting a value lower than 800 you will be over exposing the sensor and that 14 stop contrast range will be distributed unevenly, with less latitude in the highlights. At 1600 ISO the opposite is true – the sensor is underexposed, increasing latitude in highlights. This video demonstrates that although it may seem counter-intuitive, it is in fact better to shoot high-key subjects at 800 ISO or higher. Dieser Beitrag wurde am 2016/01/27 von amiraownop in Basics, Technical veröffentlicht. Schlagworte: 1600 ISO, 400 ISO, 800 ISO, Amira, Arri, bright daylight, day exterior, exposure, high-key, instructional, ISO setting, native ISO, over exposed, techniques, under exposed. Welcome to The Arri Amira Owner/Operator Blog! Patrick Rupprecht bei Welcome to The Arri Amira Owner/Operator Blog! 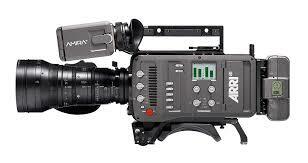 amiraownop bei Welcome to The Arri Amira Owner/Operator Blog! Stefan Klein bei Welcome to The Arri Amira Owner/Operator Blog!